USC Trustee Ronnie C. Chan MBA ’76 and his wife, Barbara, have dedicated $20 million to USC’s pioneering occupational science and occupational therapy program. Given in honor of Chan’s mother, the gift endows and names the division, which will be known as the USC Mrs. T.H. Chan Division of Occupational Science and Occupational Therapy. This is the first naming gift and the largest ever made to any occupational therapy program in the history of the field, according to the American Occupational Therapy Association. This historic endowment gift ensures the USC Mrs. T.H. Chan Division’s prominence among the most elite programs in occupational science and occupational therapy. The gift also extends the international reach of the division through the USC Mrs. T.H. Chan Occupational Therapy China Initiative, which will establish a partnership with a top Chinese university to develop a graduate program in occupational therapy in China. In addition, the gift endows the Mrs. T.H. Chan Professorship in Occupational Science and Occupational Therapy. Florence Clark, associate dean of the division, will be installed as the first holder of the professorship. Chan is the chairman of Hang Lung Group Limited and its subsidiary, Hang Lung Properties Limited, which stands among Hong Kong’s leading property companies. He also co-founded the Morningside Group, a privately held investment firm that owns and manages industrial and service companies throughout the United States and Asia. 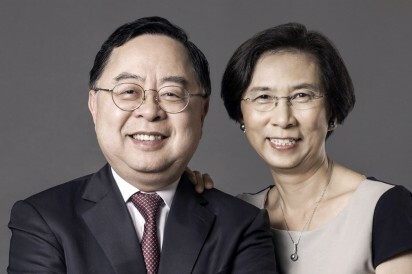 A member of the USC Board of Trustees since 1995, Chan established the USC Hong Kong Alumni Association and supported construction of the USC International Residential College, a center for global education and interaction. 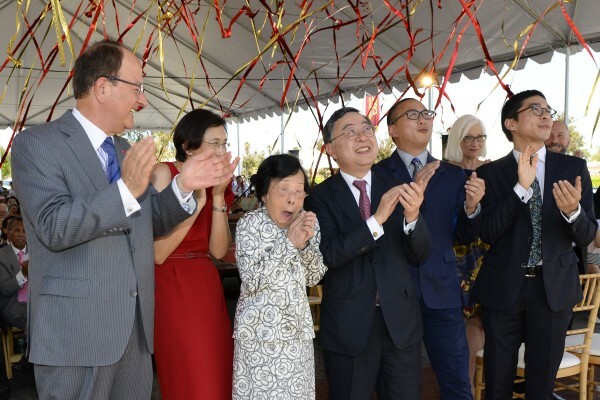 A leader in the effort to raise funds for the International Plaza at the Ronald Tutor Campus Center, Chan rallied USC alumni in Asia and donated toward the plaza’s building fund. 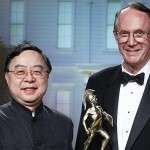 The university honored Chan’s extensive contributions and dedication with the 2009 Asa V. Call Achievement Award, USC’s most prestigious alumni award. With two sons who graduated from USC, the Chans are also proud Trojan parents. Adriel received his bachelor’s degree in international relations in 2004. Adley earned his bachelor’s degree in sociology, as well as bachelor’s, master’s and doctorate degrees in occupational therapy. He recently joined the division as a clinical faculty member. The gift represents a significant milestone for the division, which has accumulated a long list of firsts since occupational therapy education began at USC in 1942. The division established the nation’s first two-year, entry-level master’s degree program in occupational therapy and first post-professional degree program in occupational therapy. It is also internationally renowned for establishing the world’s first Ph.D. program in occupational science. Since U.S. News & World Report began ranking occupational therapy educational programs in 1998, USC has held the No. 1 spot for 12 years — more years than all other programs combined. Occupational therapy is a health care profession focused on enabling people to decrease their risk of or better manage chronic disease and disability through sustainable, health-promoting activities and routines in order to live happier and more productive lives. Occupational therapists work with populations across the life span in various settings, including hospitals, nursing facilities, community clinics, schools, private practices, corporations and wellness centers. 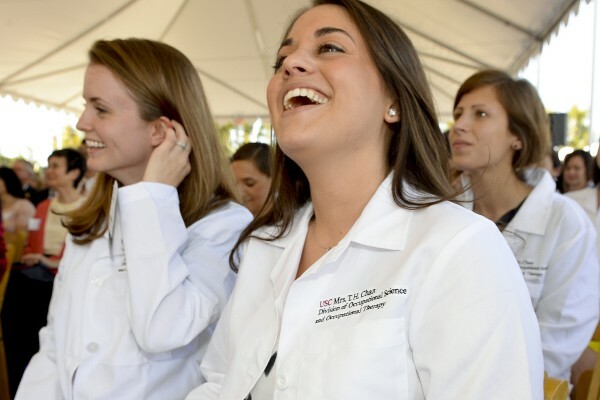 Clark noted that the Chans’ support ensures the division will continue leading the profession in education, research and clinical programs. Ronnie C. Chan MBA '76 was presented with this year's alumni achievement award by President Steven B. Sample. The 76th annual USC Alumni Awards celebration took place on May 2 at the Westin Bonaventure Hotel in downtown Los Angeles. Associate dean will become president of the American Occupational Therapy Association next spring. 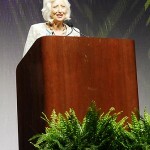 Florence Clark reaffirmed the university’s long-standing history of leadership in the profession of occupational therapy at the 92nd annual conference of the American Occupational Therapy Association.